- FOR RENT BY LOCAL OWNER - NO BOOKING FEE! Living Room with Leather Love Seat. Sit by the window and enjoy a nice relaxing time watching our local birds. We have some Hawaiian Kaliji Pheasants that come by most every day! Experience what it is like to live in a tropical rainforest, where time runs at a slower pace. Living Room area with dining /breakfast table. There is wireless internet and cable TV as well as a DVD player availale to you. From the panoramic living room window you can watch the forest birds playing outside in the trees. The kitchen is fully equipped with electric stove/oven, Coffee Maker, Coffee Grinder, Toaster, Microwave, Refrigerator/Freezer, and all the dishes, pots and pans, and utensils you may need. From the kitchen you can go onto the back patio to enjoy a nice cup of coffee or just relax after exploring Hawaii Volcanoes National Park. There is no neighbor in site, the deck is totally private. This rental cottage is perfect for you stay in Volcano Village. Rent as 1 bedroom or 2 bedroom, 1 bath. No neighbor to the left, right, or behind it, so it is very tranquil. Relax and enjoy the tranquil atmosphere. You are surrounded by lush tropical forest, no neighbor in sight. Totally private, yet in walking distance to the stores, restaurants, and Post Office, and just a short 1 mile drive to the Hawaii Volcanoes National Park. The giant picture window lets you watch the lush forest and visiting song birds while sipping on a cup of hot coco or coffee. Enjoy an afternoon on the back porch listening to nature and being surrounded by lots of lush forest. The bathroom has a brand new whirlpool tub to soak in a bit of paradise after a long day of exploring what Volcano has to offer. Amenities: Gas Heater, TV (Cable), FREE high-speed wireless INTERNET, DVD Player, Radio, fully equipped kitchen with electric stove, refrigerator, microwave, toaster, Coffee Maker, Slow Cooker, Coffee Grinder and all pots and pans, including dishes. Add'l Provided: All Linens ( towels, bedding, etc. ),iron, ironing board, hair dryer, outside garden table & chairs. Dish Detergent, Starter Supply of Paper Towels and toilet paper, family style shampoo & liquid shower soap, propane for gas heater. * Sometimes we may accept a single night stay if available between two bookings or within 2 weeks of arrival. Please Inquire. Tax: Hawaii tax add'l. ( 13.416% for sales (GE ) and Hotel Tax. Cancellations: No charge if cancelled at least 30 days in advance for 1-3 night stays, and 60 days in advance for 4-7 night stays. If you cancel short notice you will be responsible for the full amount of your reservation, however, we will credit you any days we can rebook to someone else. Deposit / Payment: Credit Card to guarantee reservation, payment due upon arrival. preferred by check, traveler's check, or cash. Bea, Thank you for your hospitality. Bill and I enjoyed feeding your birds - we are taking home pictures of all of them! Your cottage was the perfect place for our vacation - we were able to visit the park, Kona, Hilo, and all the places in-between. We hope to return some day... Jerry and Bill Curtis, Maryville, Missouri. Hallo Beate, Wir hatten eine sehr schoene Zeit hier. Es ist sehr idyllisch hier und die Voegel beobachten macht Spass! Danke und alles Gute! Tibana & Michael Taunusstein, Germany. Bea, Thank you so much for everything. This was the perfect place for us.! Blair & Jan Kunkh. Thank you for letting us stay here. It was cold outside and cozy inside. We did absolutely nothing. PERFECT!! Aloha Linday & Dustin. Hi Beate Thank you so much for sharing this wonderful garden cottage and your friendly Hawaii birds during my stay here...they were tapping on the window for seeds this morning when the sun came out! I truly enjoyed my time here and hope to return one day... Best wishes for your continued success! Lisa Bromeland, Vancouver, Canada PS: I will definitely recommend your establishment to my friends! Dear Bea, What a lovely little cottage.... it was absolutely perfect! It was a great vacation. Thanks for the hospitality. Julie & Mark Rice. Aloha ! WE had a wonderful time at the cottage. We enjoyed cooking and relaxing in the garden. Perfect place to see the Eastern part of the island. We are going to recommend the place to our friends. Hemal Mehta, California. Mahalo Beate :-) We have had just a lovely and relaxing time this weekend. Hope to see you soon again! Stephanie & Hendrik, HI. Aloha, We had two lovely days and nights in this cottage. We enjoyed the house interior, surroundings and the Volcano National Park. Se you next time for a longer period. The Otterbeins, Budapest, Hungary. Aloha Bea, Jesse and I enjoyed our stay at your cottage. The weather was perfect and we enjoyed walking around the house to observe the birds and the flowers. After Spending 4 relaxing days here we are now ready to return to the hustle and bustle of city life. I hope to stay here again. Quida & Jesse Pryor. Hi Bea, Thanks for a wonderful stay at your little cottage up her next to Hawaii Volcanoes National Park. The flowers and birds that greeted us every morning were wonderful, and we loved the misty rain - we don't get much of that in Dallas. Mike and Abby Moore, Texas. Aloha, What a delightful place to stay. I was thrilled to have a Jacuzzi tub. I had just finished the Ironman and the tub was like a massage. The place was so comfortable and we enjoyed the lovely flowers and the beautiful birds. Mahalo, Harriet & Gary Anderson, California. Thanks so much for a wonderful accommodations - We lost track of time ! You have remembered everything that makes a traveler feel comfortable! We will certainly recommend this cottage to anyone visiting this georgeous Big Island. Much Mahalo, Mimi Henley & Steve Johnson, Washington. RENT DIRECT: "Never any Booking Fees or Service Charges". 2 houses and 2 studios. Affordable budget group accommodations. Sleeps up to 27 + 8 add'l on the adjacent property for a total of 35 people. Multiple houses in one area ( separate properties but close to each other) sleep approx. 50-60 people. Ask for your friendly Volcano Rental Concierge "Bea". 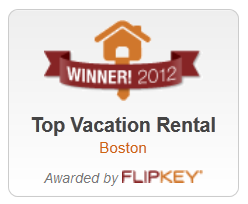 We are always happy to answer questions or recommend a rental based on your specific needs. Your reservation is always made directly with the owner of a property, and there is never a booking fee or service fee to you. We are just here to help! Prefer to talk to a live person ? Questions?